Listen to our show from Friday, August 9th here! 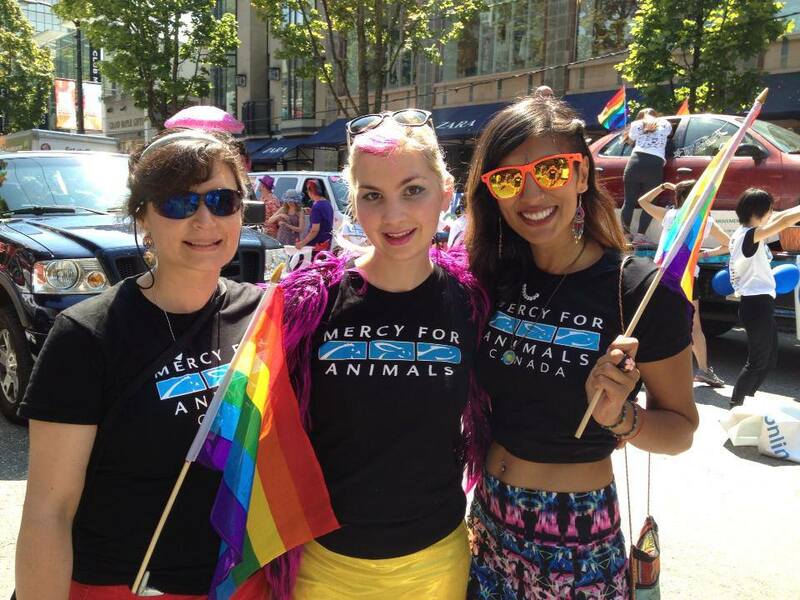 who were at Vancouver’s Pride parade! Queer Liberation & Fat Positive Veganism. Today we feature a talk with Sorrelle Saidman of Rabbitats rabbit rescue. They are a volunteer-run venture that facilitates rabbit rescue by designing escape proof, predator-proof, visually appealing and gently interactive colony housing for at-risk rabbits. 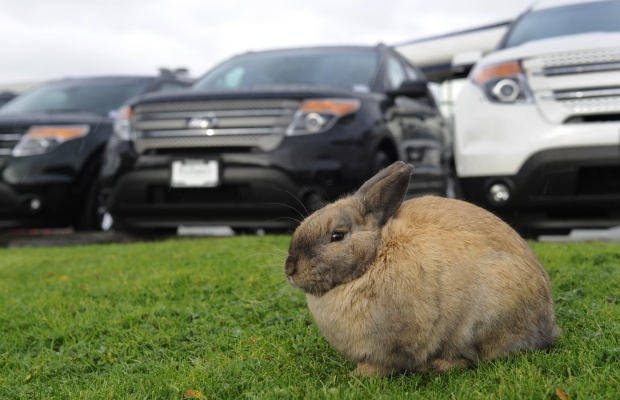 Sorelle joins us to talk specifically about the rabbits at Richmond Auto Mall and the provincial government red tape that is getting in the way of them relocating the rabbits to more suitable homes. 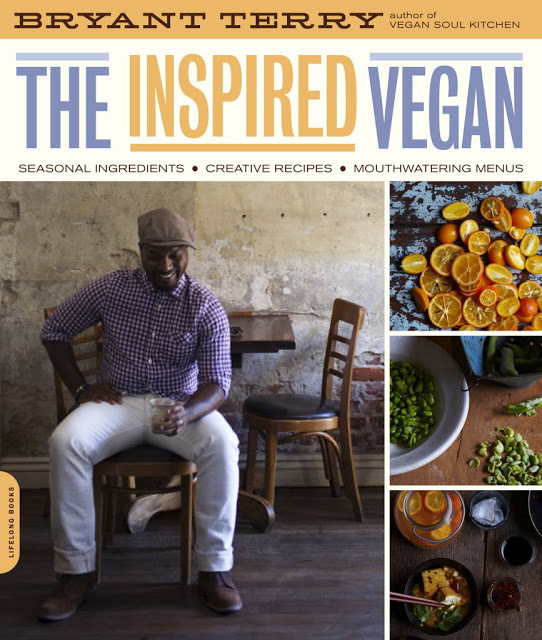 Tim offers his review of Bryant Terry’s latest cookbook The Inspired Vegan: Seasonal Ingredients – Creative Receipes – Mouthwatering Menus. Bryant is not only a chef and also the author of the critically acclaimed 2009 book Vegan Soul Kitchen, he’s an outspoken activist dedicated to shedding light on the intersections of poverty, structural racism, and food insecurity. He is the host of a web series called Urban Organic. 1. In a large bowl, toss the sweet potatoes with 1 tablespoon of the sesame oil. 2. 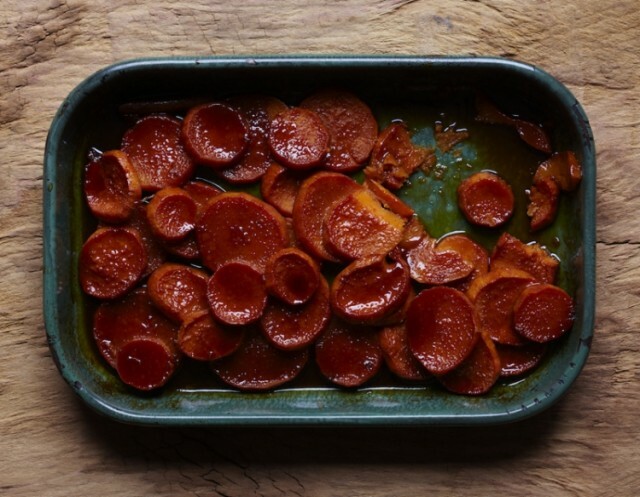 Spread the sweet potatoes on a parchment-lined or well-greased baking sheet in a single layer and roast for 50 minutes, turning over with a fork after 25 minutes. 3. Remove the sweet potatoes from the oven and lower the heat to 375°F. 4. Place the cinnamon stick at the bottom of a 2-quart baking dish, and add the sweet potatoes in layers. Set aside. 5. In a medium-size bowl, whisk together the molasses, tamari, maple syrup, miso, orange juice, lemon juice, lemon zest, water, and the remaining tablespoon of sesame oil. Pour over the sweet potatoes. 6. Bake, uncovered, for 30 minutes, thoroughly basting the sweet potatoes every 10 minutes.